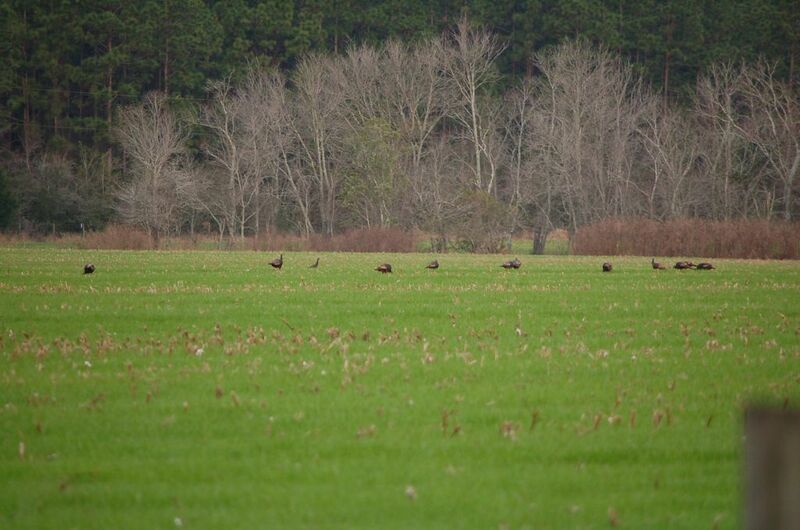 The 3rd week on January 2019 we enjoyed 26 wild turkeys feeding in the new pasture planted by DCF (Driskell Cotton Farm) to feed calves over the winter. They appeared at least 5 days. Arrived on December 26 and all is well although the combine is still here. One went down a hole at the edge of the house.